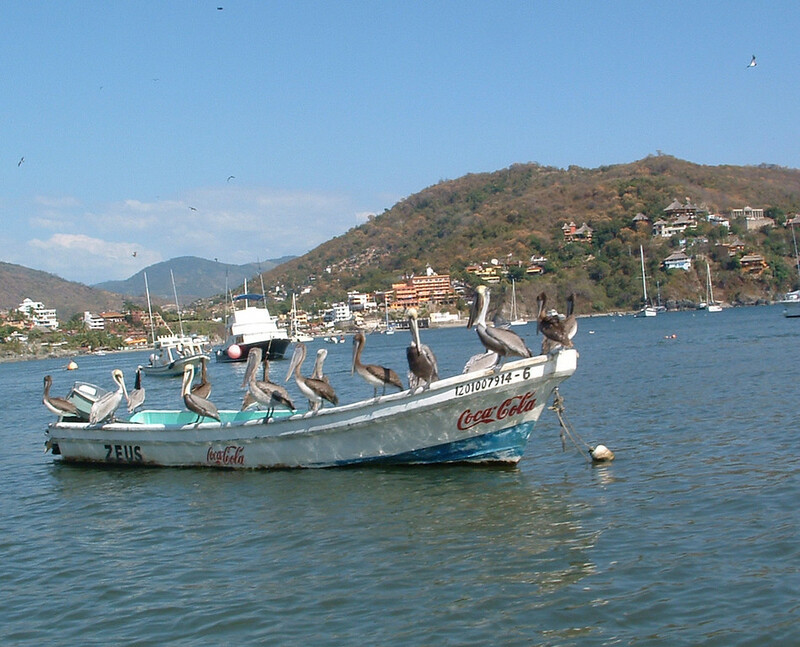 A boat with many large pelicans. I wonder if they realise that if they stay on the boat they can keep it. Who would dare try to chase this bunch off?